North Andover, Mass. – If you solely take into account the number of quality wins, then Catholic Memorial has a legitimate argument to be in the Super Eight conversation. 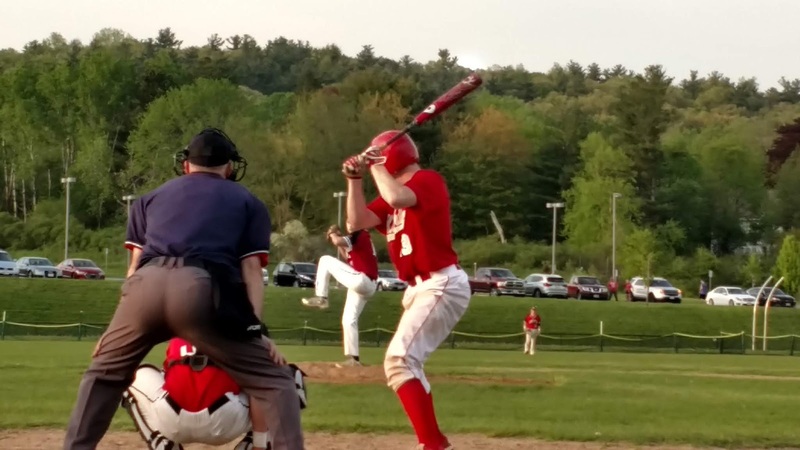 Thursday night, the Knights added another substantial win to their growing resume as they downed North Andover, 5-1, behind a complete game from Colin McGrath. With the win, CM improves to 9-7, and now has victories over some of the top programs in the Bay State including Central Catholic, St. John's Prep, BC High, Xaverian, and North Andover. Behind a stellar pitching performance by McGrath, the Knights jumped on top of the Scarlet Knights (10-4) early and never looked back. McGrath went the distance, allowing one unearned run on four hits, walking two and striking out four. McGrath relied heavily on his two-seam fastball, which showed tremendous run on both sides of the plate as he kept the NA bats at-bay. 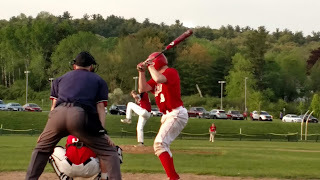 Offensively, the Knights banged out six hits highlighted by a multi-hit game out of senior Sean Bruen. Bruen also collected a pair of RBIs. Leading 2-1 after four frames, CM put the game of out reached with a three-run fifth. "We feel comfortable when Colin is on the mound for us," said Bruen. "The bats picked him up a little bit tonight. What is awesome about our team is that it is not just one guy doing it all. It's a new guy every game. We know we can play against anyone in this whole state and we know that we can compete with anyone." In the decisive fifth, a Ryan Gillis single was sandwiched around two outs. A walk to JP Kelley kept the inning alive. Bruen then came through with a two out RBI single to right off of NA starter Anthony Sapienza (5 IP, 3 earned runs, 6 hits, 1 walk, 5 Ks) to make it 3-1 Knights. JP Olson followed with a line single, which was overrun plating two runs to make it 5-1 Catholic Memorial through four and a half. Over the final two frames, McGrath was in charge. Despite allowing two hits in the sixth, the righty was able to get out of the inning unscathed. In the seventh, he set down the Scarlet Knights in order to record the win. “We've been off for a week so after a long bus ride it was nice to see our kids perform this way against a quality pitcher. We have been able to get some good production 1-9 in our line up. We were able to get some key hits today with runners on base. Hopefully, we can finish out the season strong and have a chance at making the Super 8." The Knights grabbed a 1-0 lead in the initial inning courtesy of three NA fielding miscues. In the fourth, they increased that margin to two runs on Bruen's two-out, opposite field double to left that scored Patrick Manning. In the bottom half of the frame, North Andover closed the deficit. With one out, Jack Morin reached on an error. Two batters later, Justin Connolly an errant throw on a groundball to short brought home Morin to trim the Knights’ lead to 2-1. Finn seemed to follow with the tying hit, but Tommy Fisher made a diving catch in the gap to bail out McGrath and end the inning. After starting out the year hot, North Andover has cooled down a bit having now gone 2-3 in its last five games.